In a move already adopted in many other US states (see interactive map here), the proposed Bill would impose certain restrictions on abortion procedures in the Texan State, including a ban on abortion post 20 weeks gestation. The Bill would also restrict the availability of the RU486 drug and require certification for abortion clinics including hospital-admitting privileges for abortion providers. These certification requirements have been criticised by the American Congress of Obstetricians and Gynaecologists (ACOG), who in a statement released on 2 July argue that the Bill ‘improperly regulate medical practice and interfere with the patient-physician relationship’. ACOG goes further and states that these restrictions would close many of the abortion clinics in Texas, a figure which has been affirmed elsewhere as all but five clinics would remain open in the State. Davis is now the public face behind protest against the new special legislature convened by the Republicans. Despite this protest, earlier last week the Texas House committee voted to advance the contentious restrictions, with next step to be a full Senate committee hearing this week. 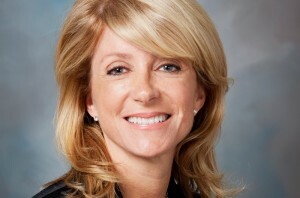 At the time of the filibuster, Wendy Davis achieved social media stardom with over 140 000 views watching the live stream on YouTube, whilst the hashtag #standwithwendy going viral. For a Bill that undoubtedly is about women’s issues, Davis has received accolade for championing women’s rights, including support from US President Barack Obama. Another supporter of Davis is fellow Democrat Senator Leticia Van de Putte, who attended the session halfway through Davis’ filibuster, after attending her father’s funeral. Van de Putte has applauded Davis’ efforts whilst adding her critique to the Bill and its detrimental effect on the State’s poorer women. However, despite receiving this support, there have been some claims that Davis cannot be a ‘professional’ let alone a feminist because of the effort she puts into her appearance. Examples such as this blog have claimed that Davis does not look like ‘a professional’ and have criticised Davis for transforming into some sort of magical blonde feminist. It is true a lot of focus during this event has been given to Davis’ perfectly coiffed hair, however, what this mostly ridiculous blog does (inadvertently) highlight is that there are still debates about what a ‘professional woman’ should look like, let alone what a feminist should look like. This sort of debate has been around for some time now, and is behind the well-known ‘this is what a feminist look like’ campaign. A further critique levelled again Davis is that the fanfare of the filibuster has clouded debate on the issues in the Bill, with some arguing that the coverage of the filibuster outweighed the substantial debates. Others, like Tara Culp-Ressler, whilst not critical of Davis herself, have also highlighted the disproportionate coverage the filibuster received. In her article, Culp-Ressler points to the fact that the restrictions on abortion clinics would be so far reaching that it was affect women seeking an abortion in any stage of her pregnancy as the number of clinics is significantly reduced. Furthermore, many of these clinics that also offer services such as birth control and contraception would be forced to closed, thus leading to estimates of an additional 24 000 unintended births as a result of the cuts. In my opinion, one can undoubtedly refer to Davis a feminist for being the voice on an issue that directly affects so many women. Whilst it is incongruous to hold Davis accountable for the focus chosen by the mainstream media, what this debate does highlight is that there is still some ground to be made in how a woman in the public eye is viewed. The very fact that there is discussion bout Davis’ looks rather than on her or her achievements shows the importance of continuing feminist discussion. Growing up in Sweden – a country full of feminists AND full of blondes – it never even occurred to me that feminists couldn’t/shouldn’t be blonde. This entry was posted in Featured, News, Opinion and tagged abortion, feminism, feminist, wendy davis, women. Bookmark the permalink.